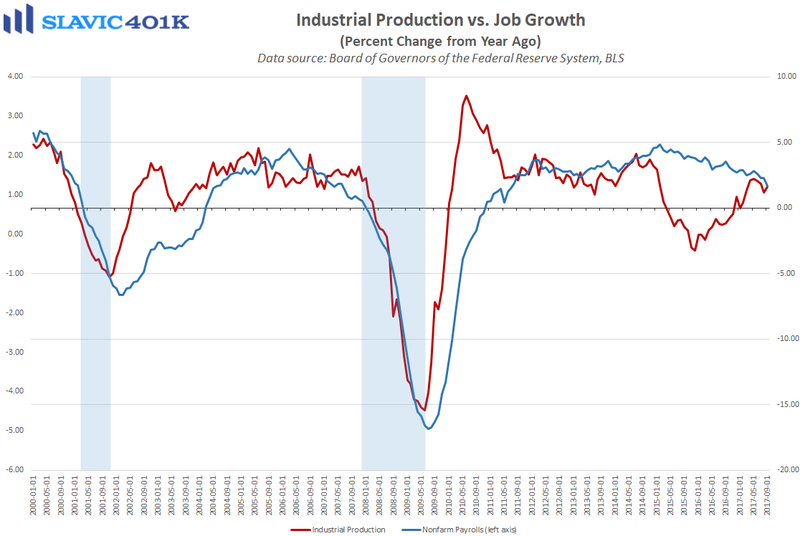 A new report from the Federal Reserve Board of Governors showed that industrial activity in America rebounded last month, as total production rose by 0.3 percent. That was slightly better than anticipated and a welcome turnaround following August’s 0.7 percent decline. A lot of the strength occurred in the mining and utilities arenas in September, perhaps a reflection of the fading impact of hurricane Harvey on the Texas region. However, the report’s authors noted that recent tropical activity still probably held down the growth in total production in September by a quarter percentage point. 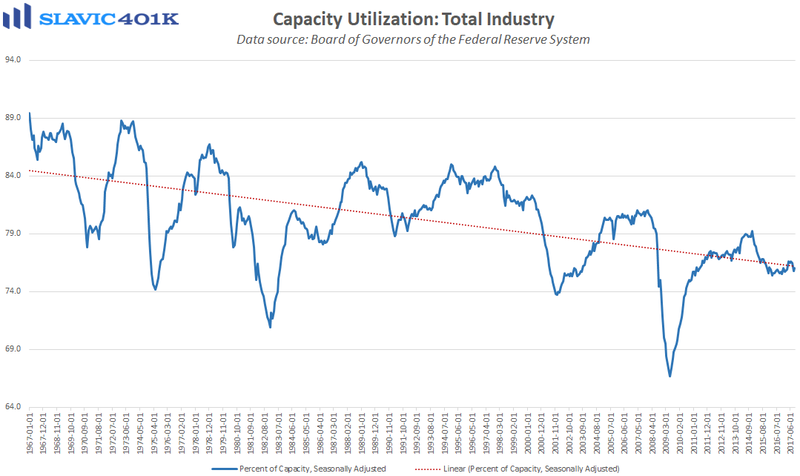 As for manufacturing, which makes up roughly 75 percent of all industrial production, this component lifted by 0.1 percent last month, much worse than forecast, and capacity utilization, sometimes used as a leading indicator of inflation and potential output, also disappointed expectations.